Ever wonder how the President of the United States gets elected? 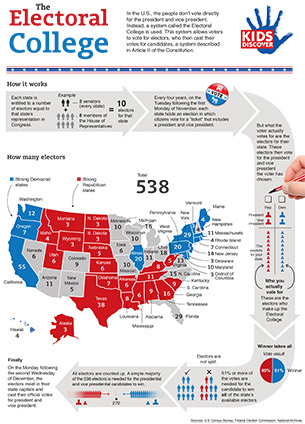 Check out the below infographic for a step-by-step breakdown of how the Electoral College works, for kids. Don’t forget to email, share and pin the below infographic to fellow parents, teachers and kids!